HARLINGEN — The same week it announced strong fourth-quarter sales numbers, executives at electronics retailer Best Buy said they will close all 250 mobile phone stores. Among those expected to close are Best Buy Mobile outlets at La Plaza Mall in McAllen and Sunrise Mall in Brownsville. 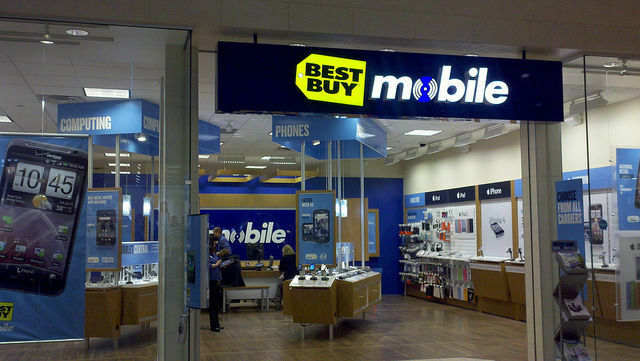 The Best Buy Mobile stores are mostly located in malls, selling phones, video games and other small electronic items. At around 1,400 square feet, the stores are tiny compared to regular Best Buy stores. The Minneapolis Star-Tribune reported it obtained a letter from Best Buy CEO Hubert Joly notifying employees Wednesday of the closings of Best Buy Mobile outlets over the next few months. “The mobile phone business was in a period of high growth and margins were high” when Best Buy Mobile launched in 2006, he said in the letter. The Minneapolis newspaper reported Joly said sales at stores represent about 1 percent of Best Buy’s overall annual sales revenue of about $40 billion. The mobile store’s business will be transferred to the company’s 1,000 regular stores and its website, the paper said. Best Buy, headquartered in Richfield, Minnesota, has three other big-box locations in the McAllen area and one in Brownsville. Yesterday the company announced it was “especially proud” of a 9 percent comparable sales growth in the fourth quarter of 2017, which brought its annual comparable sales growth to 5.6 percent for the year.